Bird flu could be the greatest threat to modern civilization and the world is poorly prepared for a bird flu pandemic. The rapid spread of the bird flu virus raises the question: what can we do to protect ourselves if a bird flu pandemic strikes? The 1918 Spanish flu – also a bird flu – infected approximately one quarter of the United States and one fifth of the world. From 20 million to 50 million people died from the 1918 Spanish “bird” flu and most of the victims were aged from 20 to 40 years . This pattern is unusual because influenza normally kills the sick, elderly and young children. At the height of the Spanish bird flu funerals were limited to 15 minutes, there was a chronic shortage of coffins, morticians and gravediggers and stores were forbidden to hold sales. It seems that a mutated bird flu like the 1918 Spanish “bird flu” is particularly dangerous because human populations haven't had the chance to develop a resistance to a virus that is normally limited to birds. The outbreak of SARS in Hong Kong demonstrated in stark terms that commerce can be shut down in an area suffering cases of a deadly infectious disease. If a bird flu pandemic were to break out in the western world we could see cities gripped with fear as Hong Kong was for that short period with SARS in 2003. Empty shops, empty streets and commerce grinding to a halt. David Nabaro from UN health predicted from 5 to 150 million people could die worldwide if the bird flu virus mutates to a human to human virus. Britain's chief medical officer Sir Liam Donaldson said it wasn't a question of IF a virus pandemic like the bird flu would hit human populations but WHEN. Sir Liam also pointed out a vaccine for a human to human bird flu virus can't be produced until the virus mutates and a bird flu vaccine may not be effective even after one can be produced. In the past production of vaccines has been too slow to successfully combat a rapidly mutating, widespread influenza virus. The Asian flu pandemic of 1957 demonstrated how difficult it is to vaccinate against an influenza virus. Despite prior warning and despite a vaccine being developed quite rapidly the Asian flu spread to the United States in 1957 where it killed 70,000 people. 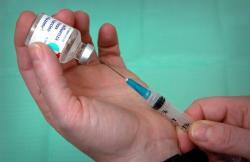 Health authorities have difficulty producing and administering vaccines quickly enough to fight a virus. Also the rapidly mutating nature of influenza viruses means many vaccines provide very limited protection. Anti-viral drugs are a more recent development in the fight against respiratory viruses like the bird flu and governments in the western world have begun stockpiling the anti-viral drug tamiflu as part of a bird flu protection plan. But in a bird flu pandemic tamiflu may not be as effective as authorities would hope. In an unsettling development for health authorities tamiflu resistant strains of the bird flu are appearing. Recently a vietnamese girl was diagnosed with a tamiflu resistant strain of bird flu and in China the bird flu strain H5N1 is showing around 70% resistance to adamatane drugs like tamiflu. Other anti-viral drugs like Relenza may be more effective if a bird flu pandemic strikes but until the bird flu mutates to a human to human virus we can't be certain which drug – if any - will provide a pharmaceutical first line of bird flu defense. On the lighter side of bird flu prevention sales of sauerkraut in 54 Twin Cities stores in the USA spiked 840% after an inconclusive and tiny study by Korean researchers found the bacteria in fermented greens might speed the recovery of chickens infected with the bird flu. People more interested in a little more serious bird flu protection than fermented cabbage might heed the one consistent recommendation from health authorities across the world to reduce your chance of catching the bird flu virus. At present the bird flu is mainly passed to humans from the faeces and respiratory secretions of infected birds. Over 90% of respiratory viruses like the bird flu enter your body through contact between the mucous membranes of your eyes and nose and your fingernails. They hitchhike their way into your body after being picked up on your hands. In a World Health Organization news conference WHO Global Influenza Program leader Klaus Stohr said frequent hand washing was the best way to avoid a viral infection including the bird flu. Every government health authority in the western world recommends hand washing as a basic precaution to prevent respiratory viruses like the bird flu, SARS, influenza and the common cold. But washing your hands effectively to prevent bird flu is not quite as simple as it may seem on the surface. Technique is important as is the soap you use. Antibacterial soaps are NOT recommended for regular hand washing even for health professionals. Learning how to prevent bird flu by using hand washing and natural hygiene effectively can be complex. If you'd like to discover the simple, ridiculously cheap even FREE ways you can help protect you and your family from kiler viruses like the bird flu and drastically slash your chance of catching the common cold, influenza, many bacterial infections - even your risk of cancer.. I'm a health writer and member of the Australasian Medical Writers Association. For years I've written health features for newspapers from Cairns Australia to Colorado USA. And on this web page I'm going to let you download all the information you need to use this system completely FREE of charge. This research scientist's findings were published 5 TIMES in the presitigious Journal Of The National Medical Association. I intially found this research through another internationally respected health professional and bestselling author from Canada. I've put all this research into plain language you can understand and recorded it all on a full audio recording and in a written report you can download FREE in just minutes from now. This “Advanced Hygiene Secrets” audio was based on an hour long radio interview I gave that was delivered to over 40 commercial radio stations across Australia. I've included the content of this interview and ADDED the most critical frequently asked questions you need the answers to if you want to avoid those killer viruses. AND years of my own research that began way back before the initial SARS epidemic. I've searched for all the keys to fighting viruses like the common cold, influenza, killer viruses like the bird flu and SARs and chronic diseases like sinusitis and allergies. I'll reveal to you every mistake you could be making right now and show you a whole range of simple, natural steps you can take immediately to protect you and your family. How to recognize bird flu symptoms and what you should do first if you think you have the virus. How a “madman” from the 19th Century can reveal to you the most vital health key if you want to avoid most viruses and bacterial infections. Especially if your want to avoid the dreaded bird flu. Why there's some hitchhikers you NEVER want to pick up and what that has to do with your health. "I Woke Up The Next Morning And The Flu Was Gone..."
"I had the first symptoms of a flu and before going out in the evening I followed your simple hygiene directions..."
"Normally once I get the flu it's a week or two of coughing and nose blowing and I was out VERY late that night..."
"I was amazed when I woke up the next morning and the flu was gone!" The five anti virus steps common in Japan that helped them avoid an outbreak of SARS and how you can follow these five anti virus steps to avoid the bird flu, SARS, influenza and the common cold. A secret about a certain part of your body you MUST understand if you want to be healthy and avoid contracting viruses, bacterial infections and more. How you could be doing the health equivalent of licking the toilet floor of a filthy smelly motorhome repeatedly every day. This audio will give you the key knowledge and the motivation to stop immediately! How you could be unwittingly letting a cocktail of dangerous germs, bacteria, chemicals, insecticides, pollutants and worse into your body and the simple step you can take to avoid this. The two supplements most likely to help relieve the symptoms of a cold or influenza and the little known secrets to taking these cheap natural supplements for maximum effect. Remember you'll be learning an advanced hygiene system that's proven to work in the real world. "I Can't Remember The Last Time I Had A Cold Or Flu..."
"When Andrew first introduced me to this amazingly simple system I was suffering constantly from repeated bouts of influenza." "My doctor had diagnosed me with bronchitis..."
"I'd barely get over one cold or flu and another would come along. I was getting to know my doctor way too well and the antibiotics he prescribed barely helped with the symptoms." "After two years my life had become a misery." "When I started using this hygiene system my health improved almost immediately and now a year later I can't remember the last time I had a full blown cold or flu!" How leaving this disease untreated could lead to asthma attacks, colds, serious bouts of influenza, infections, even meningitis – an infection that can result in brain damage. This audio program will explain to you what this disease is, the suffering it could be causing you and how to relieve it FAST! Why you absolutely NEED a specific type of hair on your body and a simple way to keep that hair healthy. How this therapy can also help slow the progression of a virus – sometimes stop it dead in its tracks...You'll get detailed instructions in this report. Use this simple method to clear out a blocked nose or blocked sinuses – usually in a few minutes even just a few seconds! Five more simple natural secrets to clear a really stubborn blocked nose. You'll love this list and you'll be thrilled when you can finally breathe easy again. Why nearly every ear nose and throat specialist recommends an inferior version of this therapy for sinus problems and why this scientfically proven technique is so much safer and often far more effective. A deadly health mistake you could be making that leaves you with a blocked nose, colds, influenza and sinusitis. If you don't stop making this health mistake you could end up with serioius lung cancer, emphysima or heart disease. How blowing your nose the wrong way could lead to serious infections and a painful middle ear condition you'll definitely want to avoid. One part of your body many people don't clean daily and why this could be a HUGE key to reducing the number of allergic attacks you have. "I Can Get Instant Relief From My Allergy Symptoms..."
"For over 26 years every hay fever season I'd suffer weeks of itchy red eyes, a plugged up nose and headaches." "My doctors gave me allergy shots and prescription antihistamines but these never dealt with the root cause of my allergies." "It's fantastic to know using this hygiene system I can now immediately and naturally treat my allergy symptoms as soon as they appear and get instant relief." The neglected hormone that is one your body's most powerful antioxidants and how the only way to increase levels of this hormone is by improving your hygiene. How to power up your immune system without taking a single vitamin. This is the most powerful technique you'll ever discover for enhanced immunity and health. You'll be amazed at how a study published in the prestigious Journal Of The National Medical Association can show you how to reduce your risk of cancer simply, naturally and easily – yet this technique has been ignored by mainstream medicine. The embarrassingly simple secret the Japanese and some African tribes have discovered that can help reduce your risk of prostate cancer. This is so obvious yet I'll bet nearly anything you've never thought of it. How these advanced hygiene secrets are likely to help you live longer. Could this be the long searched for fountain of youth? How stress is linked to nearly every major western disease – most likely including the conditions you suffer from – and how advanced hygiene might be a major help. The amazing link between hygiene and intelligence. Could the advanced hygiene secrets in this audio put you and your family on the road to genius like Albert Einstein, Leonardo Da Vinci and Thomas Edison? Remember this is NOT an unreadable scientific treatise. These instructions are so simple a child could follow them. The common cold, influenza, bacterial infections and food poisoning. You could even be helping make your child smarter. How much is this fantastic audio worth to you? How often do you take a child or someone else in your family because they've picked up a virus somewhere and you just want to be sure it's not something dangerous? Imagine the money you save and the peace of mind you'd have if you and your family never caught a virus, a cold or a flu to begin with. Imagine a household without blocked sinuses, hay fever and other airborne allergies. Think of how much work time you're losing because you or your family are sick with a cold or flu. If you were to talk to me in person you'd pay $250 an hour and I'm VERY good – believe me it would be worth every penny. But you won't pay $250 for this audio recording. For a very limited time you can claim your immediate download of this audio on a completely FREE 30 day trial. Download every audio and every report right now without paying me a penny. I'll give you 30 days to listen to it all and read it all. If you're not thrilled with the quality of the information you'll never be charge a cent! If you are happy - as I know you will be I'll charge you just US$47. This 30 day completely FREE trial download is a test. If too many unscrupulous people take advantage of my generous nature I'll have to end this offer forever. I'd hate for you to miss out. Claim your immediate FREE download of this advanced hygiene secrets audio recording right now by clicking on the button below. You'll be able to order by cheque or credit card completely safely. Because I'm in the health business for the long run I'm going to give you an extra $84 worth of high quality bonuses with your free advanced hygiene secrets audio. I know you'll be so THRILLED at the fantastic value you get from me and the unparalelled quality of the information in this package that you'll seriously consider any other product I might offer you in the future. I know if I give you the greatest value health information on earth you'll become a long term highly valued client and you'll buy from me over and over. I'll give you a written version of the “Advanced Hygiene Secrets” program you can download to your computer and read immediately. You'll get the groundbreaking “Undersize Me Secrets” audio as a second completely FREE bonus. The groundbreaking diet and lifestyle manual on audio - packed with a boatload of common sense information to help you revolutionize your health the natural healthy way. Every piece of information packed into this audio will help you improve your general health and power up your immune system naturally. So you'll get immediate downloads of your Advanced Hygiene Secrets audio, the full, immediate download of the Advanced Hygiene Secrets report, the Undersizeme Secrets Audio AND the Undersize Me diet and lifestyle manual on audio. Total value of $US112. Nearly three times the bargain $US47 you'll pay for the whole package! And you don't have to pay me one single solitary cent now. You can download everything completely FREE and try it for 30 days without being charged a cent. P.S. Improving your hygiene is not just GREAT for your health it's also the right thing to do from a moral standpoint. Do you want to be passing on potentially deadly viruses and bacteria to your family, friends and workmates? Do you want to leave the members of your family vunerable to colds, influenza and even deadly viruses like the bird flu and SARS. AND you can download your written “Advanced Hygiene Secrets” report all on a completely FREE 30 day trial.